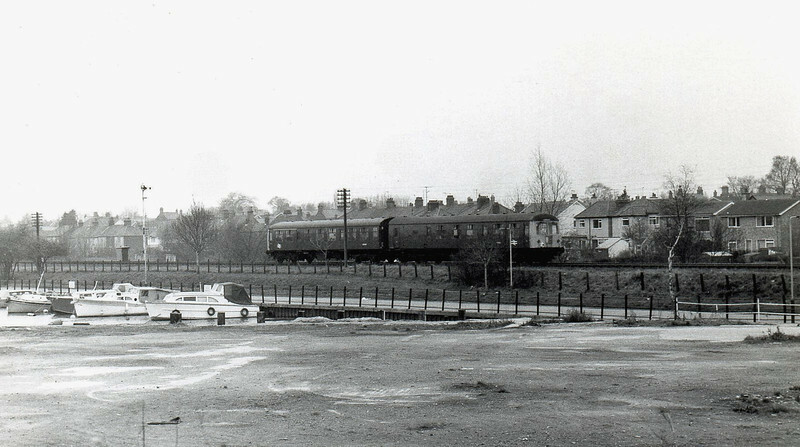 The 1235 Lowestoft to Norwich near Oulton Broad North on 16th February 1976. The cravens unit is running parallel with Caldecott Road, giving a fine view of Oulton Broad from the train. The shot is from Commodore Road, the area in the foreground now housing. This was an opportunistic shot. I happened to have my camera ready after a lunchtime pint in The Wherry Hotel.